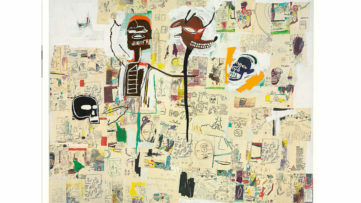 In his tragically short-lived career, Jean-Michel Basquiat created a formidable output that turned him into an icon for new generations of artists. He started a career as graffiti artist on the streets of New York, tagging the walls and trains with his friend Al Diaz under the name of SAMO©. Using the moniker as a channel for their angst, they left cryptic messages all over the city which were witty, confusing and confronting. This early artistic expression of this now iconic 20th-century artist was captured by the lens of the photographer Vijya Kern. A selection of these images will now be on view at Artstübli in a first-time comprehensive and documented gallery exhibition. Vijya Kern – SAMO© as an end – Rara. Enhance Mate Paper 192g/m2; Alu Dibond, black core, Limited to 6. 120 x 90 cm. Jean-Michel Basquiat and Al Diaz first met in a high school in Brooklyn Heights. Along with some other students, they started a newspaper titled Basement Blues Press. It was here that SAMO© was first conceived, appearing in Basquiat’s article about an ideal yet imaginary religion that he called SAMO, which was described as “guilt-free.” Inspired by this, Diaz and Basquiat printed out flyers that featured fictional testimonials from people claiming this new religion changed their lives. 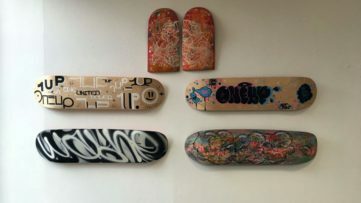 Soon, the moniker became the medium for them to express everything from frustrations to personal jokes through graffiti across the city. 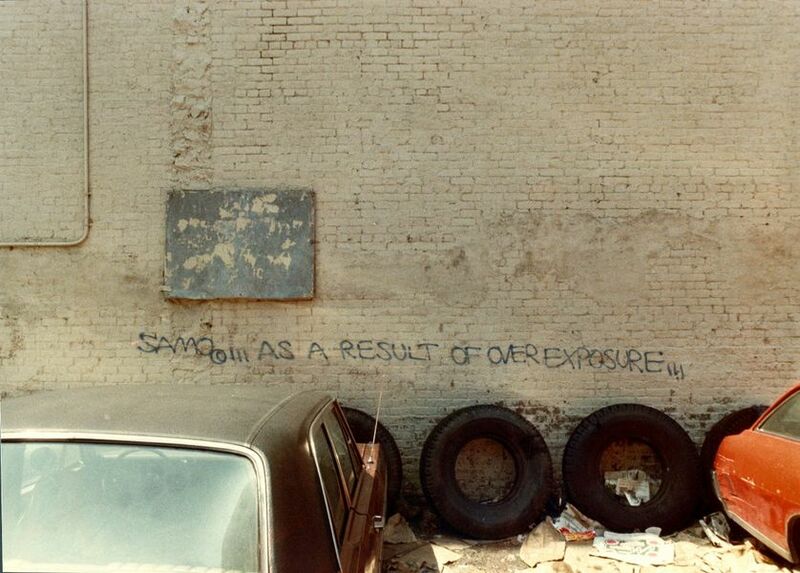 The duo maintained their anonymity until 1978 when they sold their story for $100 to the Village Voice for an article titled SAMO© Graffiti: BOOSH-WAH or CIA?, written by Philip Faflick. 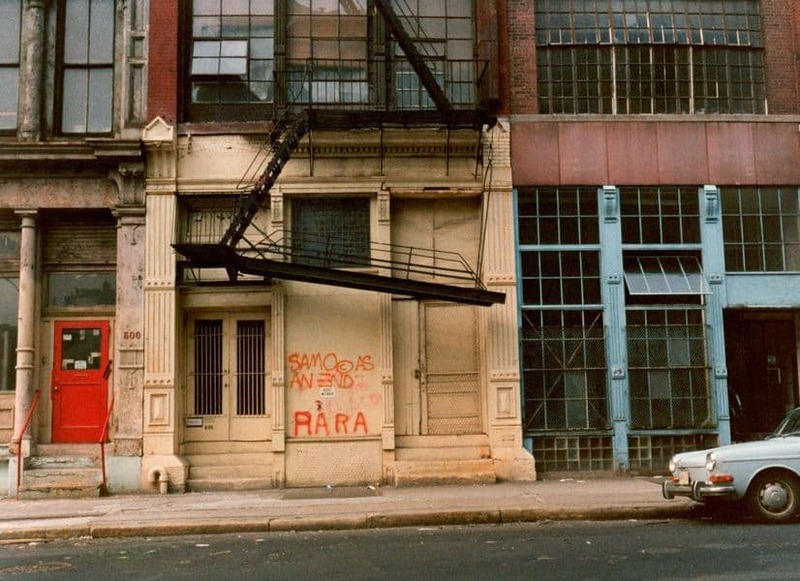 From here, things started to change very quickly for young Basquiat as he began to garner a following and friendships amongst the art crowd. While studying at the well-known art and Architectural “Cooper Union” school in SoHo, Manhattan, Vijya Kern used her spare time to explore her environment. This is when she began noticing numerous graffiti written under the pseudonym SAMO© and started documenting them with her camera. Although Kern has made some selected pictures available for famous museums and catalogs since, this is the first time the photography editions of SAMO© and SoHo will be on view in a gallery exhibition. 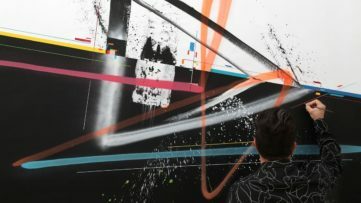 The exhibition VIJYA KERN – Back to the Roots will be on view at Artstübli in Basel from October 12th, 2018 until January 12th, 2019. The opening reception will be held on October 12th, from 5 to 9 p.m. 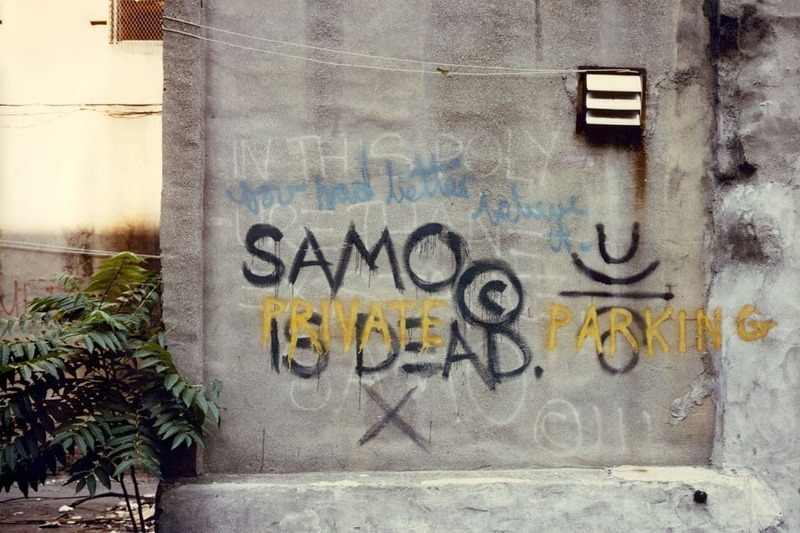 Featured image: Vijya Kern – SAMO© is dead – private parking. Alu Dibond, black core, Limited to 6. 120 x 90 cm. All images courtesy of Artstübli.